244 The La Riviere Yard, mile 111of the La Riviere Sub. and mile 0 of the Napinka Sub. 1997/07. CPR mile 111, La Riviere yard. 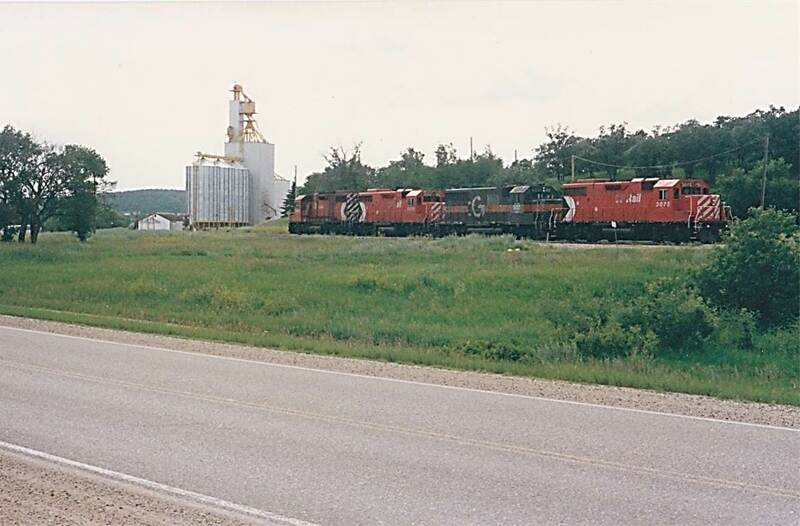 A latch up of three GP38 -2’s, and a lease unit waiting this July morning to take a grain drag 80, or so miles W. to Napinka and then on to Brandon on which is on CP’s main line. (Click on photo for detail) © Text and Photos exclusive copyright of N. Froese. This entry was posted in Uncategorized on 2015-04-22 by nfroese.